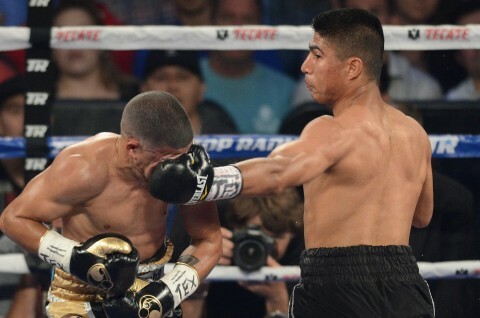 On Saturday night, former WBO featherweight champion Mikey Garcia (32-0, 27 KO’s) produced another impressive performance in dispatching former two-division titlist Juan Manuel Lopez (33-3, 30 KO’s) inside of four rounds at the American Airlines Center in Dallas, Texas. Garcia, despite losing his title on the scales one day prior for coming in two pounds over the featherweight limit, was sharp throughout the contest. A crisp right hand dropped Lopez in the second and a sweeping left hook finished him off two rounds later. There is confusion as to whether Garcia will move up to 130 pounds or if he will try to squeeze himself down to 126 pounds yet again, as he suggested to HBO’s Max Kellerman during their post-fight discussion. 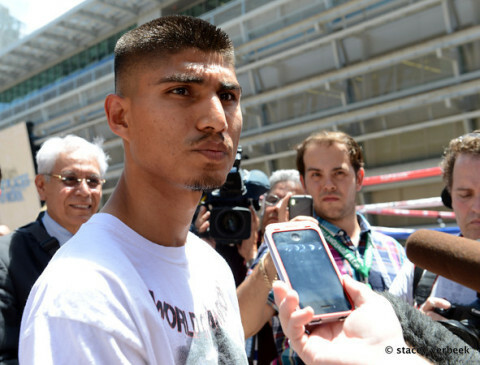 Images from the American Airlines Center in Dallas, Texas, on Tuesday, June 11th, as WBO featherweight champion Mikey Garcia (31-0, 26 KO’s) and former two-division champion Juan Manuel Lopez (33-2, 30 KO’s) host an outdoor public workout ahead of their HBO clash this Saturday night. 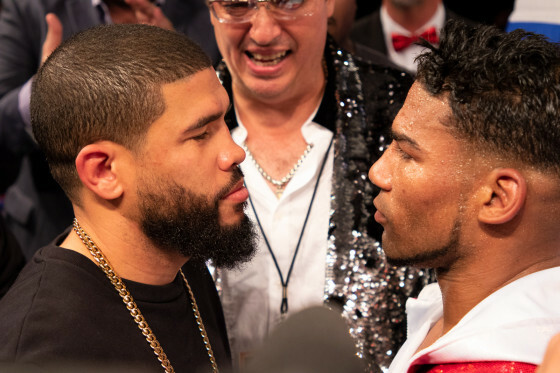 Garcia vs. Lopez will be an HBO “Boxing After Dark” attraction, promoted by Top Rank in association with PR Best Boxing, Foreman Boys Promotions and Tecate.